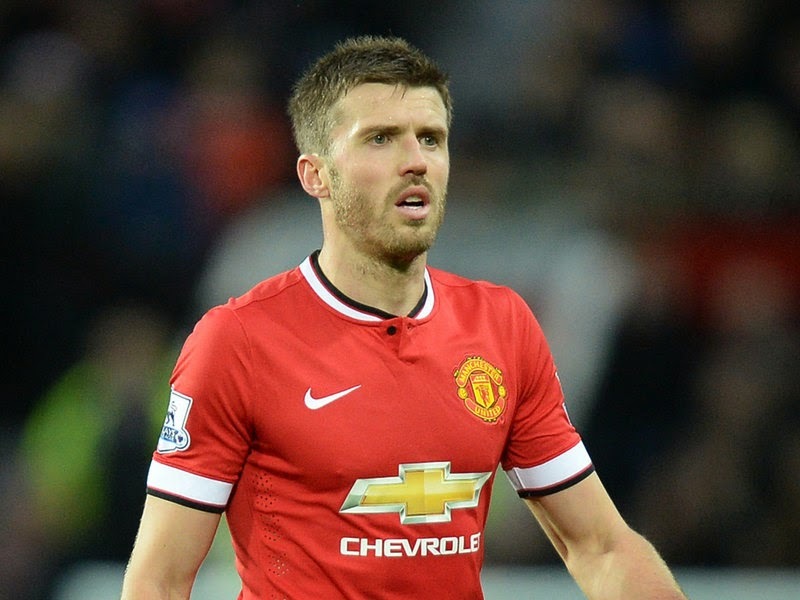 Michael Carrick will not play again for Manchester United this season because of a calf injury. Carrick has not played since suffering the injury against Manchester City on April 12. It was hoped that the midfielder would return, but he has no chance of featuring in the final three games of the season, Louis van Gaal said. 'Carrick shall not play this season any more,' the United manager told a press conference. Van Gaal revealed during the press conference that a number of his players are doubtful for Saturday's game at Crystal Palace after a virus swept through the squad. 'We have a virus in our dressing room,' Van Gaal said. 'I have a little bit of pain in the throat. (James) Wilson also has had that for one week but is recovering now. Maybe he can be on the bench (at Palace). The good news for Van Gaal is that defenders Jonny Evans (sciatica) and Marcos Rojo (adductor) are in contention for a place in the squad for the trip to London after overcoming their respective injury problems. 'Rojo is coming back but (I may) put him on the bench or something like that,' Van Gaal said. Van Gaal's immediate priority is returning to winning ways on Saturday at Selhurst Park.